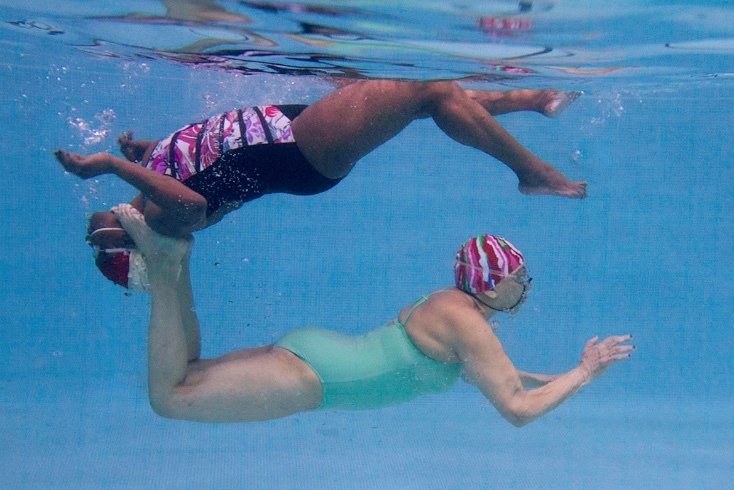 Shooting the The Swimmers has been a defining experience at ICP. I started on the pool deck at a distance from my subjects. I am now underwater and not afraid to direct my subjects and to get close. It took fellow photographer Cristias Rosas to remind me, "Do whatever it takes to get the photo." Cristias is among the most gifted and thoughtful conceptual photographers at ICP. He is the furthest thing from being a paparazzi. With his comment in mind, I switched up my gear and got close. The results have been successful. Tomorrow (Tuesday) is the deadline to submit our project proposals. I have narrowed down several hundred images to a selection of five or six. From there, the exhibition committee will select what they think are the best 2-3 images. Our proposal must include a project pitch, test prints, a digital maquette (blue print) and installation instructions. I am throwing sweat and tears for good measure. We all knew this was coming but knowing and executing are two different experiences. Kirsten Murphy - Thank you Vivian. It means a lot to me that you follow it. I'll be sure to keep it up once I am back in YK. Kirsten Murphy - This project has come along way. Thanks for your comments. See you in 10 days!!!! Kirsten Murphy - You are the wind against my back. Have so appreciated you sharing your journey at ICP with us, totally love the under water shot, you are the BEST!!!! Jacqui - The intensity is palpable from your entry. Remember to breathe. Good luck, my dear. But you don't need luck. Personally, I think you've nailed it. Everytime I see a new photo I always smile. You are doing amazing stuff. Tomorrow will be just fine as you have this in hand. Keep up the fantastic work. Squid & the 57 street gang.